The ÄPU name comes from the English name for “Apple” and a character from a well-known Estonian children’s TV programme “The Biggest Friend”. ÄPU, an innovative soft drink, inspired by nature. 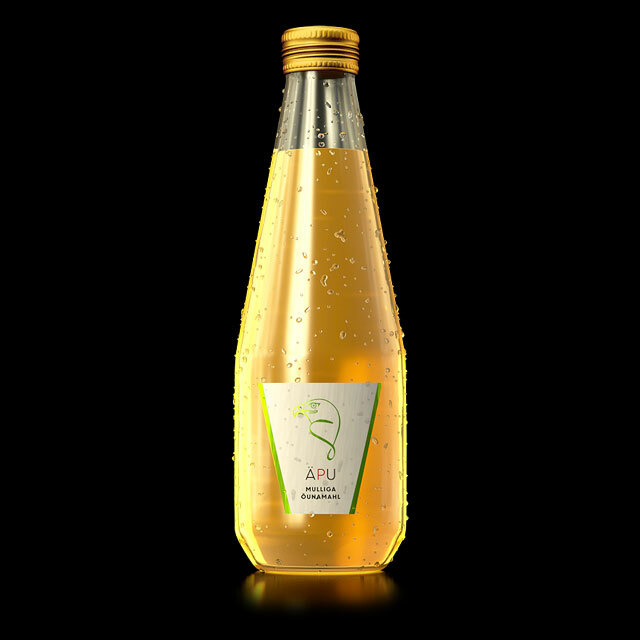 ÄPU is a naturally non-alcoholic apple juice, made with our pick of the best apple varieties for balance and flavour. Undiluted, and filtered for clarity, with CO2 for a pleasing fizz – there are no preservatives, and no additional sugars. ÄPU is our tribute to one of mother nature’s most simple and beautiful achievements – the apple.